One of the assignments which every student in Humanities and Business studies should work on is related to case study analysis. A case study is a kind of report concerning an activity in a business company, or a community of people (for example, "Immigrants from China in London"), or another activity in the field of sociology, cultural anthropology, psychology, and so forth. By writing a case study analysis you will demonstrate theoretical base of your field of knowledge and also your ability to apply this knowledge to a certain situation. It is one thing to work with a given company, but it is a completely different thing to have the required skills to analyze its activities, goals, results, and other important aspects. Another thing to be kept in mind is the possibility to prove one’s own theory by applying it to various case studies, as, for instance, the psychologist Sigmund Freud did in the past. Case study analyses, thus, are always based upon theoretical base and require comprehensive knowledge from the writer. Your place of residence. It is good to have the possibility to observe the given community/company/institution every day or at least every week. The timeframe of the analysis. Some cases require months to obtain the necessary information. For instance, if you are working on the behavior of a migrant community, you need to trace the changes in biographies of its members. Thus, plan your work according to the time required to finish the case study analysis. Maintain ethical relations with the given community, company, institution. Do not disclose important facts or information about them. During research inform them what you are doing and why; after the analysis is completed, inform them about its results. Always ask for permission to take pictures or record videos. The case study analysis you are working on is to be interpreted from a given point of view. What theory would you like to test? What is the methodology you will employ? What results do you expect? Remember: your analysis starts with a working hypothesis, and then you will start working on the case in question. For that reason, it is more than necessary to read some important books or articles related to your case study topic. Your analysis starts with a working hypothesis, and then you will start working on the case in question. Do not think that describing the case is all what you need to do. Every high-school student can do the same. Your case study analysis should prove whether the theory you are applying is reliable or not; or it is to be accepted only partially. Some students believe that it is enough to analyze only documents, pictures, or other type of data obtained from the company/institution. True case study analysis also includes meeting with the people whose company you are studying, gaining more knowledge about the company from the employees, and so on. Even if you are working on an Internet based company, you should still meet their employees, speak with them, and have an interview with them. This happens when you do not have enough time to accomplish the task. You merely take the data you have gathered by now and generalize it to make it seem reliable. That is, modifying your theory according to the results of the case study analysis. Your initial thesis is changed in such a way that it will be proved by the empirical data. The instructions given above will give you some insights on how to write a case study analysis. Prepare your plan and be ready to spend a lot of time doing your research. 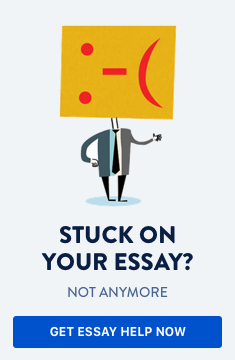 Writing a case study analysis requires a lot of time, much more than writing an essay. Do you need help with writing a case study analysis?